Vegetable plants need to be fertilized with a plant food because most soil does not provide the essential nutrients required for optimum growth. Even if you start with great garden soil, as your plants grow, they absorb nutrients and leave the soil less fertile as nutrients are not replaced at the rate that they are used by plants. Remember those delicious tomatoes and peppers from last season? To grow last year’s bounty those plants used most of the nutrients in the soil. In order to have a great chance of getting the same result this year you need to replenish lost nutrients by adding plant food to the soil, especially the big three. But what do those three numbers on plant food packaging really mean? The three numbers stand for N-P-K. N-P-K refers to the ratio of elements in a fertilizer or soil amendment. N stands for nitrogen, which is responsible for strong stem and foliage growth. P is for phosphorus, which aids in healthy root growth and flower and seed production. K stands for potassium, which is responsible for improving overall health and disease resistance. 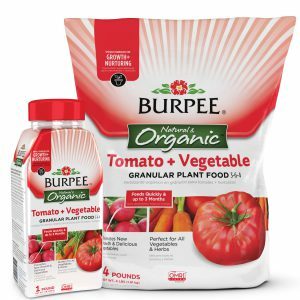 So, if a package of plant food has an N-P-K of 3-6-4 that would mean for every 100 pounds of plant food there would be three pounds of nitrogen, six pounds of phosphorus and four pounds of potassium. There are many varieties of plant food with differing N-P-K’s. Sometimes the shopping experience can be a bit overwhelming but the rule of thumb is to purchase the plant food that is specific to the type of plant you need to feed. 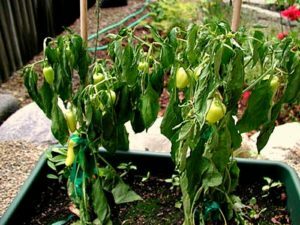 Below are listed some early warning signs that may mean it is time to feed your plants. develop brown regions; slow growth. 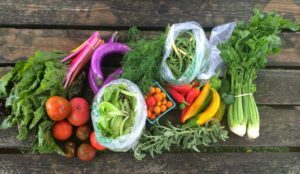 Should I choose an organic or synthetic plant food and what is the difference? Organic plant foods are products that have been extracted from living things or from the earth. They can be either plant-derived or animal-derived. Some examples would be blood meal, bone meal, kelp meal, poultry manure or compost. 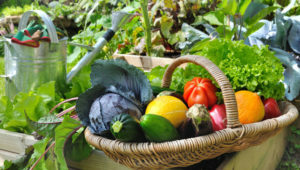 Organic plant foods provide long-term benefits to plants and soil. They also stimulate beneficial soil microorganisms and improve the structure of the soil. The N-P-K is typically lower for an organic variety and will need to be applied more frequently than their synthetic counterpart. Synthetic plant foods are composed of the synthesized chemicals of nitrogen, phosphorus and potassium. The N-P-K will be in most cases higher for a synthetic variety and last much longer than an organic but provides no long-term benefit to the soil. Many use a synthetic variety as they can give their plants one feeding that will last for the entire growing season. Synthetic plant foods also have a fast-acting effect to stimulate growth. As a company that is invested in recycling and being good stewards of the land we always lean toward organic whenever possible, but regardless of your choice, we invite you to roll up your sleeves, get a little dirty and truly experience what is means to eat from farm (yours) to table.